Beautiful, two storey villa with four bedrooms in prestigious gated community Sea Horse Ranch. Beautiful, two storey villa with four bedrooms in prestigious gated community conveniently located between Sosua and Cabarete. The very spacious, air conditioned accommodation comprises of living room, dining room, fitted kitchen, 4 bedrooms with a stunning second level terrace. On the ground floor is an additional room which can be an office or media room, guest bath and of course the living room and dining room which opens up to the pool terrace and spectacular garden equipped with BBQ and pool bar for outdoor entertaining. This property has excellent rental potential with the beach, horse riding and tennis facilities on site. A timeless Caribbean villa completely furnished in the best residential address in the Caribbean. This two story home is ideal for either full time living or vacation home as it is a stately home in perfect condition. Very large area of construction and nice pool area and garden. When entering the villa you are met by a grand hallway with an impressive staircase. This level is open plan, fitted kitchen and a great living/dining area for entertaining your family and friends. Each of the four bedrooms has a separate entrance and en-suite bathroom, with private terraces on the first floor . There is a very private master suite ( 2,500 sf) with great master bathroom on the second floor. All bedrooms are air-conditioned. The pool area and divinely landscaped garden defines this property as a Gem in a tropical oasis. All in all, a lovely property, perfect as a full time residence, vacation retreat. 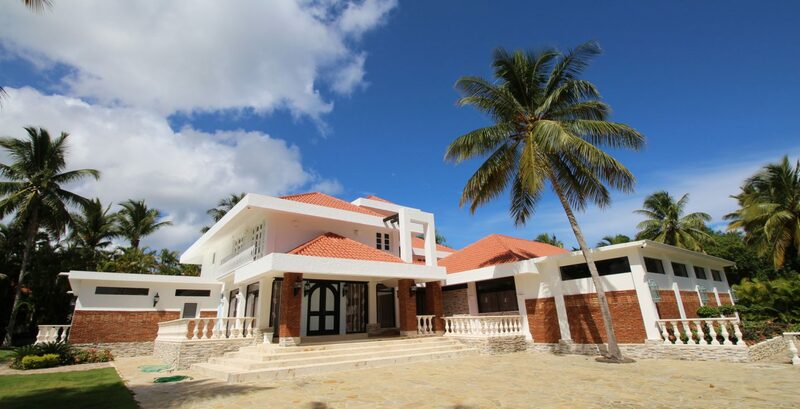 The villa is located at the most exclusive oceanfront residential resort at the North Coast. A world of refined oceanfront living, tropical pleasures and world-class-amenities with a limited number of building sites, unlimited sea breezes and limitless opportunities to explore life. There are tennis, equestrian and fitness facilities to enjoy, jogging trails to explore, numerous pools to make a splash in and a spectacular beach front clubhouse. Easily accessible from Puerto Plata’s international airport and just a few minutes drive to both Cabarete Bay and Sosua Bay with their many grocers, banks, shops, restaurants and night life, yet perfectly tucked away in a private and peaceful oceanside gated community, this property has the best of both worlds.